Valentine’s Day is the holiday to celebrate love! 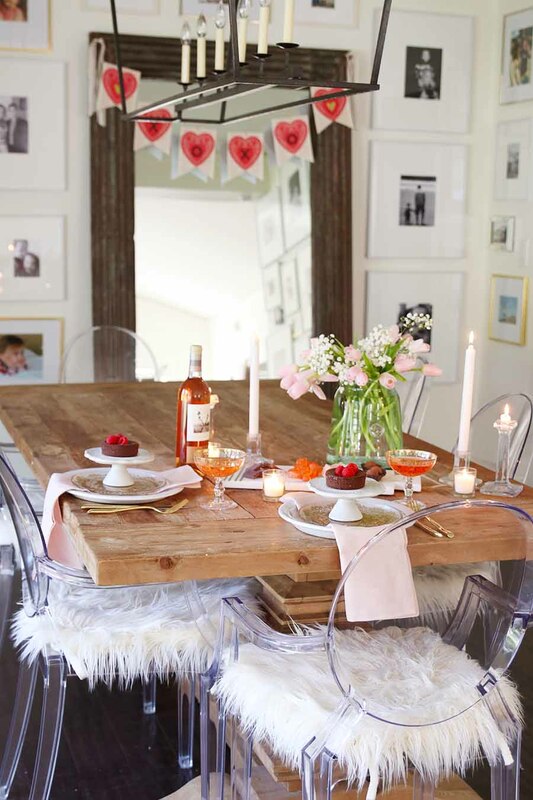 And what better way than with a beautiful and simple Valentine’s Day table. 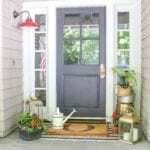 See how easy it is to have a date night in to relax and enjoy each other’s company! 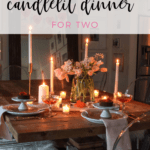 I will share with you my simple tips that will have you setting up your romantic candlelit dinner for two with minimal prep! 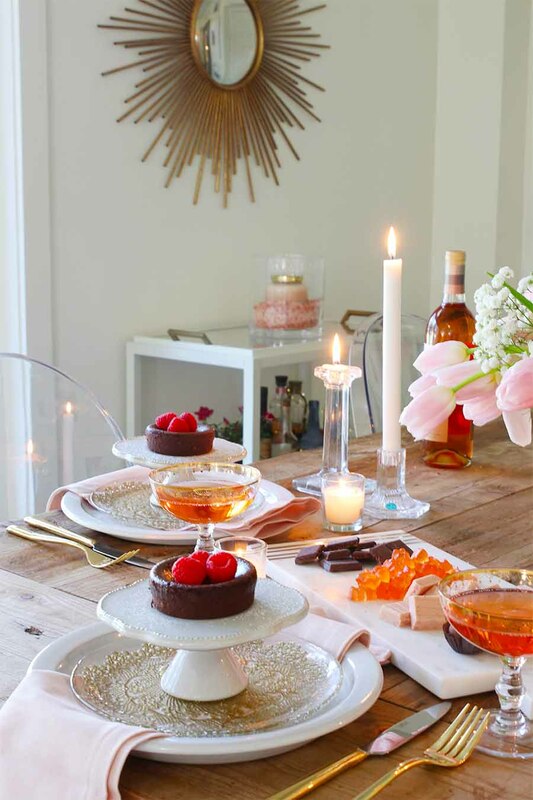 For this easy Valentine’s Day table decor, you won’t need any fancy china or dishes. Just use what you have on hand. 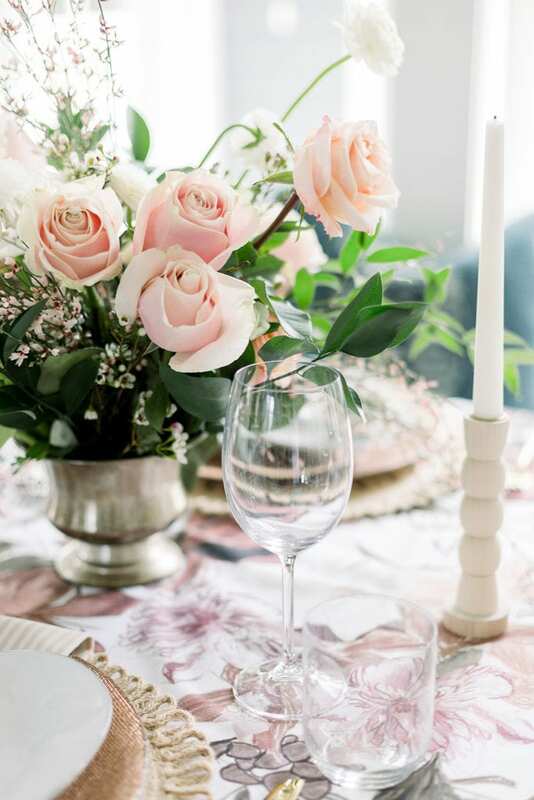 A simple color palette of white sets off the beautiful flowers and blush colored napkin. 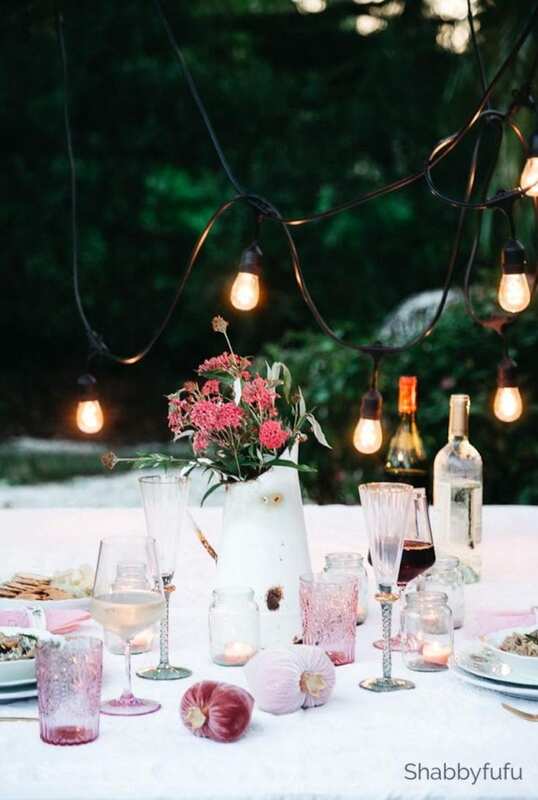 And if you don’t have a pink or red linens, use white! Now, whether you will be serving a beautiful homemade dinner or simply enjoying a delectable dessert, it’s all about the presentation. 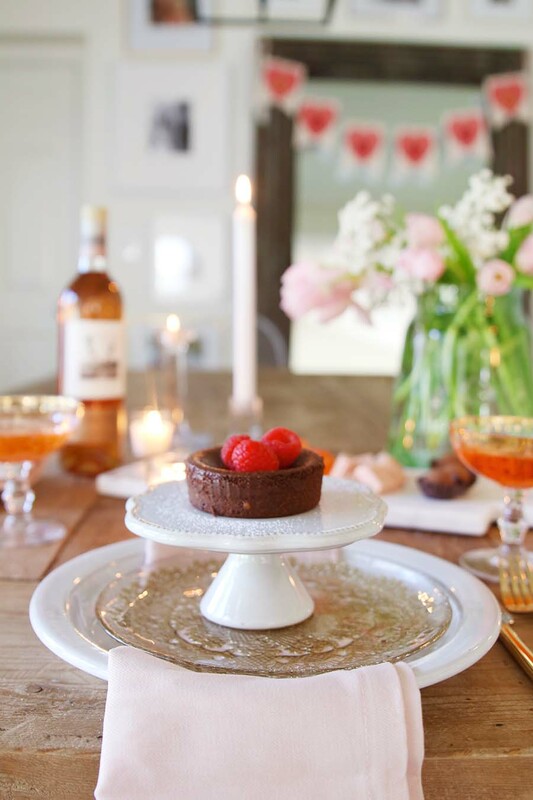 I love these miniature cake stands that are perfect for serving a yummy dessert. BTW, this chocolate lava cake is from Trader Joe’s in the frozen section and is unbelievably delicious! I love shortcuts that allow more time to spend with loved ones, don’t you? 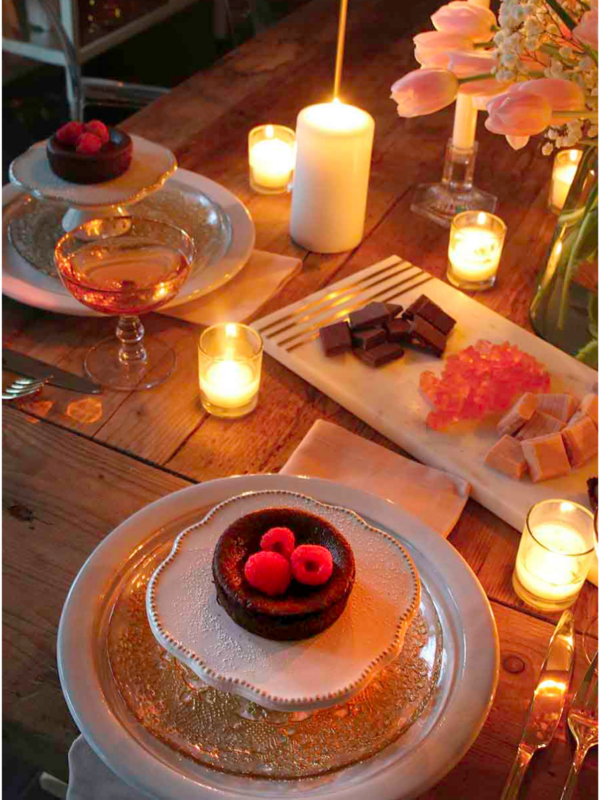 Topped with fresh raspberries it is the perfect accompaniment to this Valentine’s Day table. 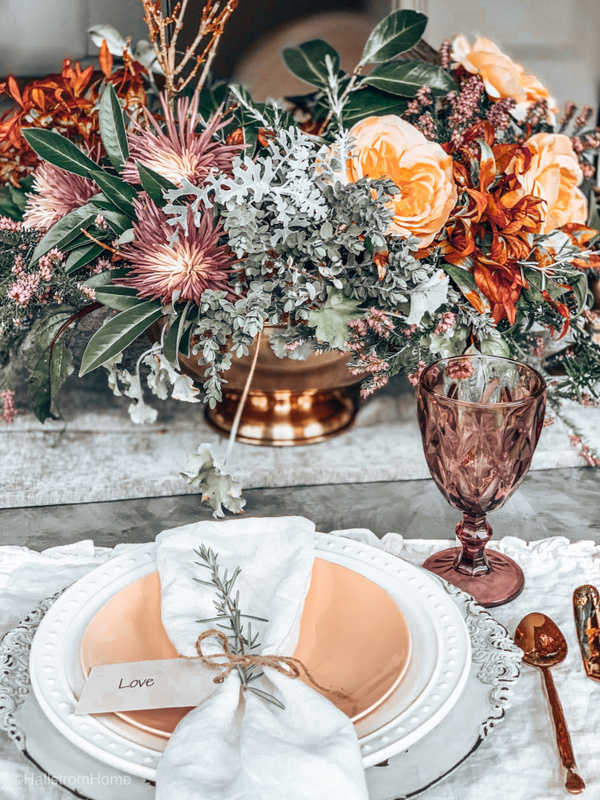 With a neutral palette of dishes and linens, this Valentine’s Day table would seem blah, but add in fresh flowers and it just sets the scene. 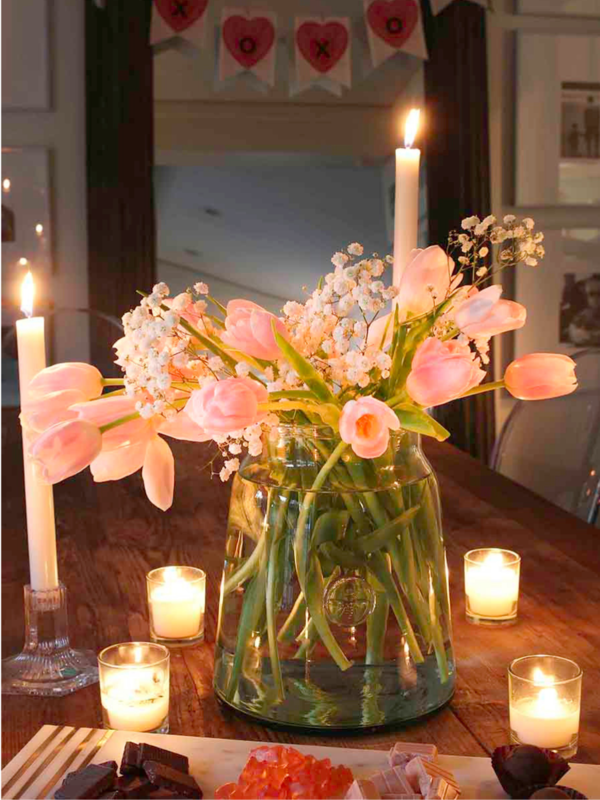 I chose fresh blush-colored tulips and added some romantic baby’s breath. These are just flowers purchased at the grocery store. 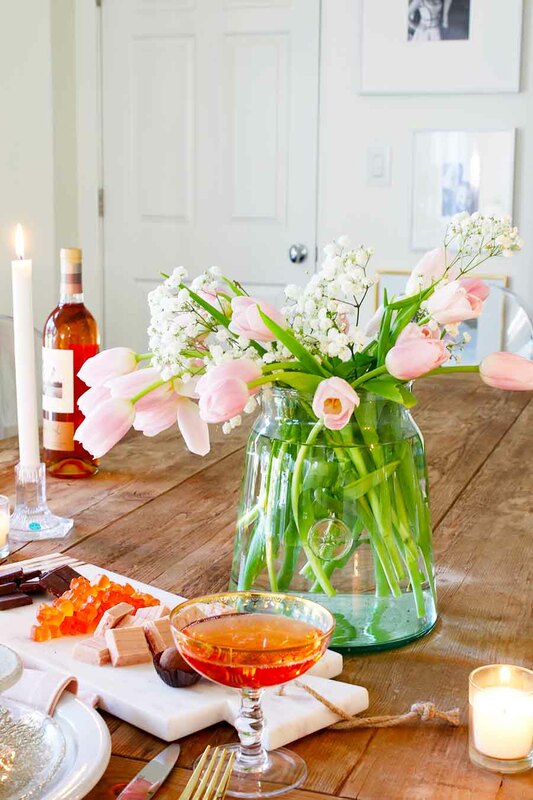 While I love a beautifully arranged bouquet of flowers, sometimes easy is just as impactful! 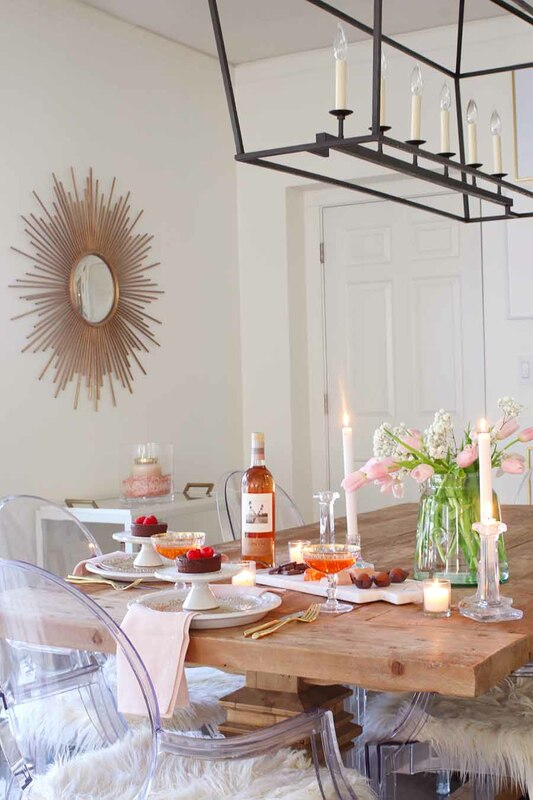 The beauty of this simply set table really comes to life as the sun sets and the candlelight takes center stage. 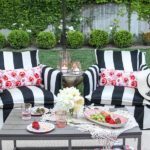 And setting the table with the two chairs next to each other, rather than across from each other makes for a more romantic setting. Conversation is more intimate and it’s the perfect distance for sharing bites of food! 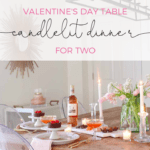 It’s the ideal setting for a candlelit dinner for two. 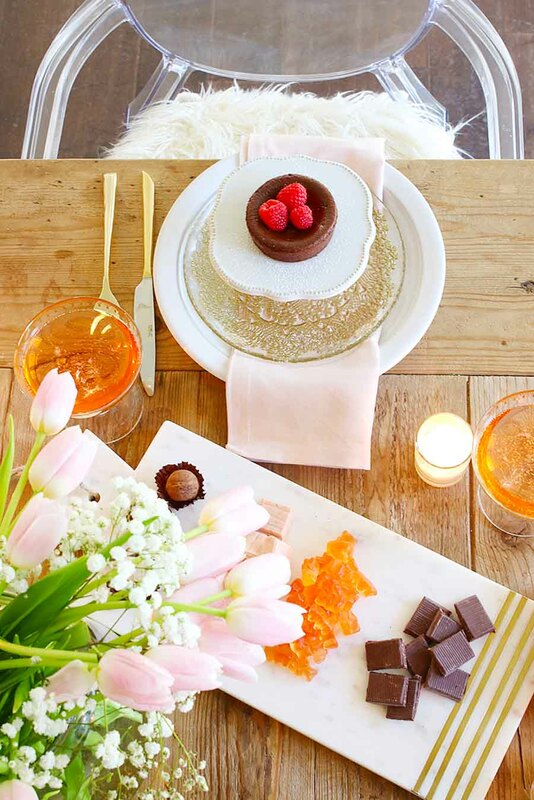 An assortment of chocolates and champagne flavored gummy bears is set out on a sleek marble cheese board on this Valentine’s Day table. It’s my favorite treat to nibble on while sipping a glass of champagne or a cocktail. And my recipe for a Blushing Pink Gimlet is the perfect drink for Valentine’s Day! 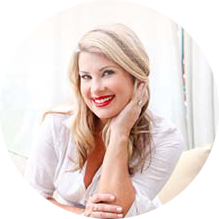 Now, let me show you some more fabulous Valentine’s Day dinner for two ideas! I am joining 6 of my friends. 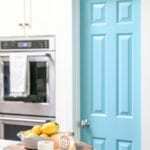 Be sure to visit the links and comment which is your favorite idea! 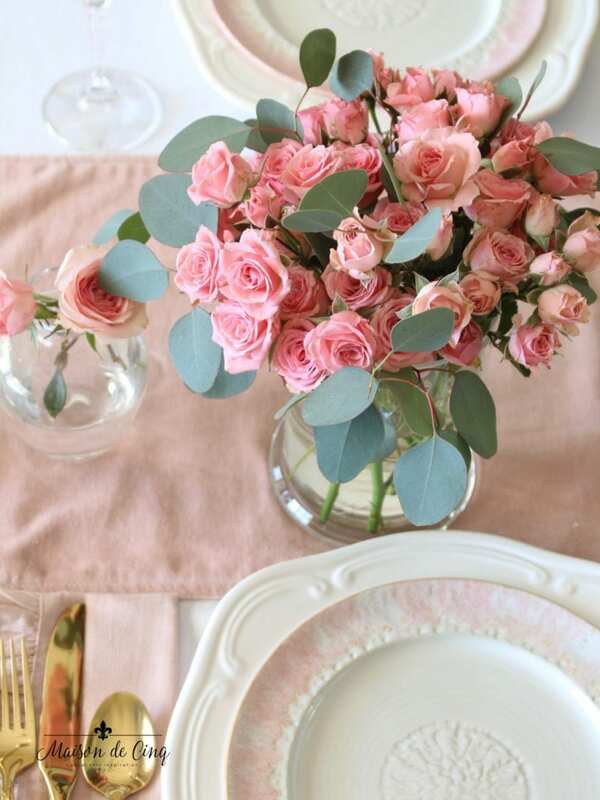 This beautiful Blush Floral Valentine’s Day Table is from my friend Jackie, Finding Lovely. I just love those beautiful roses! 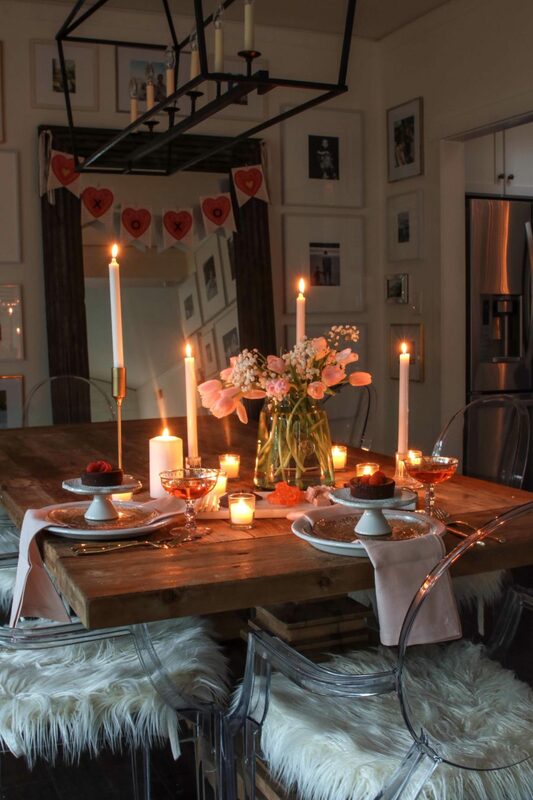 Create this fun Valentine’s Day indoor picnic for two! Janine, the Happy Happy Nester shared this unique Valentine’s Day Indoor Picnic. Janet from Shabbyfufu always creates the most stunning tables. 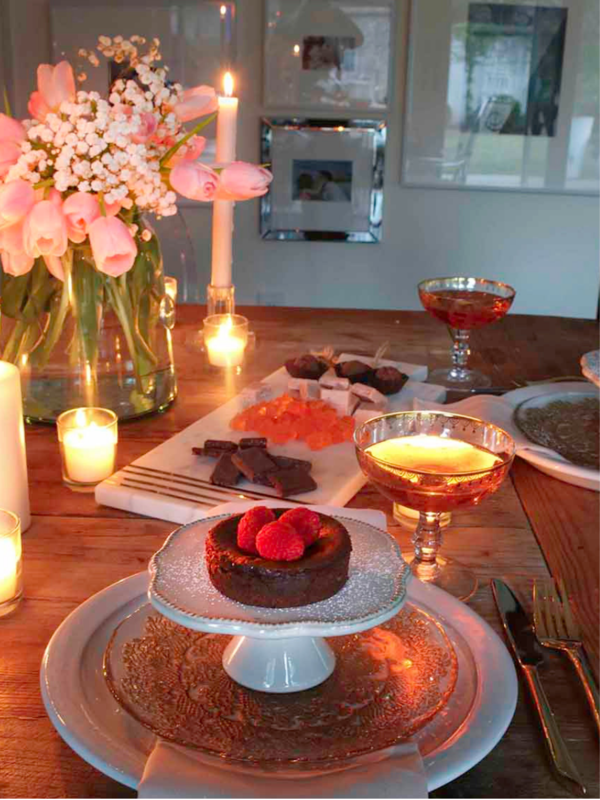 Today she is sharing some wonderful Dinner Ideas For Two – Vegan Valentine’s Day. 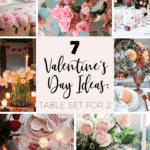 Rhonda from Hallstrom Home is sharing a Romantic Valentines table for Two with love tag printable. I just love her flowers, don’t you?! 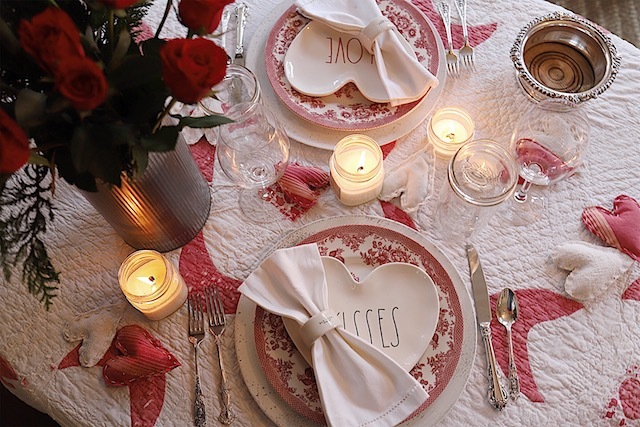 Leslie, My 100 Year Old Home is sharing this beautiful Romantic Valentine’s Day Dinner for Two with beautiful pops of red! Where do you get the mini cake stands? Thanks for stopping by! 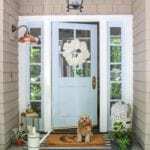 They are from Target – from the Hearth and Hand line. 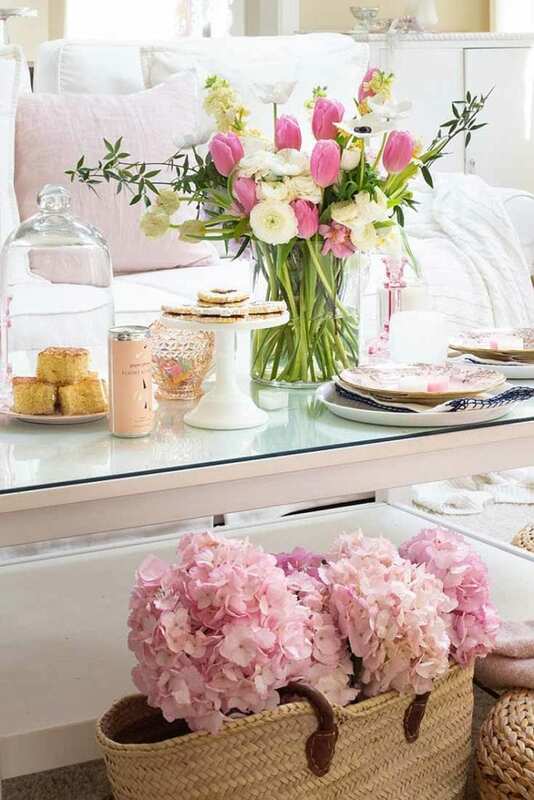 I LOVE THE GLASS VASE. WHERE DID YOU GET IT? Thank you! It is from McGee & Co. Such a pretty table Ashley! And yum to those cakes!